Diamond Details: Round brilliant cut white diamonds of G-H color, SI1 clarity, of excellent cut and brilliance, weighing .13 carat total. 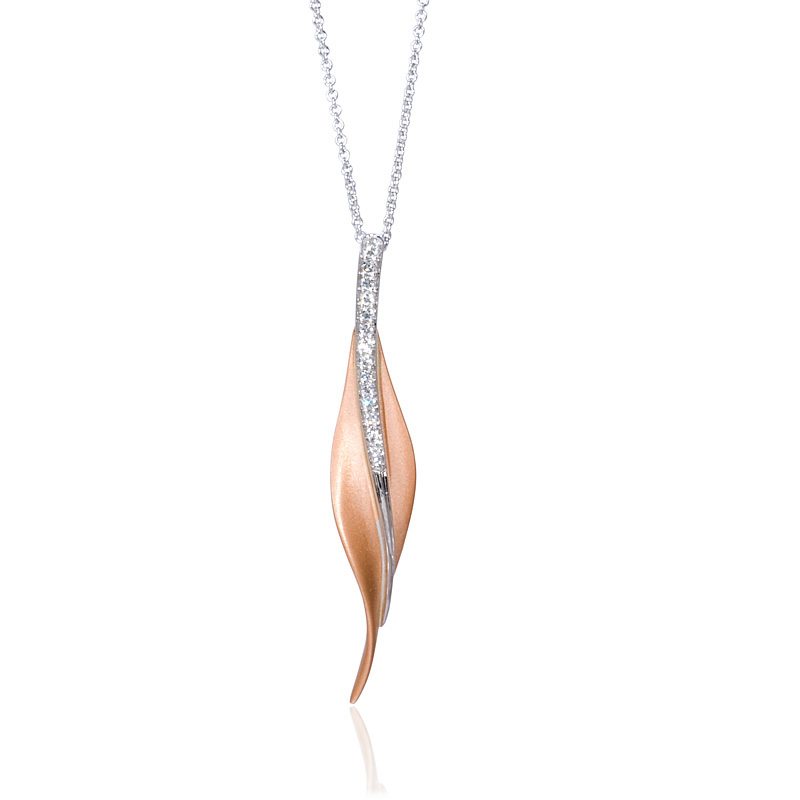 Pendant Details: Simon G 18k white and rose gold design. Measurements: Chain measures 19 inches in length and the pendant measures 45mm x 9mm. 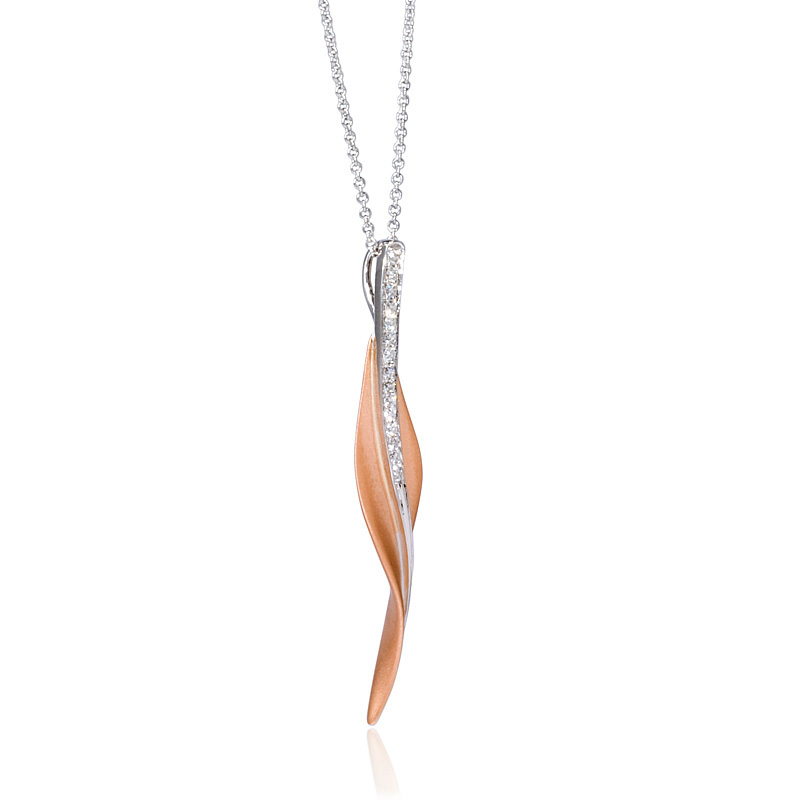 This gorgeous Simon G 18k white and rose gold pendant necklace, features round brilliant cut white diamonds of G-H color, SI1 clarity, and of excellent cut and brilliance, weighing .13 carat total. 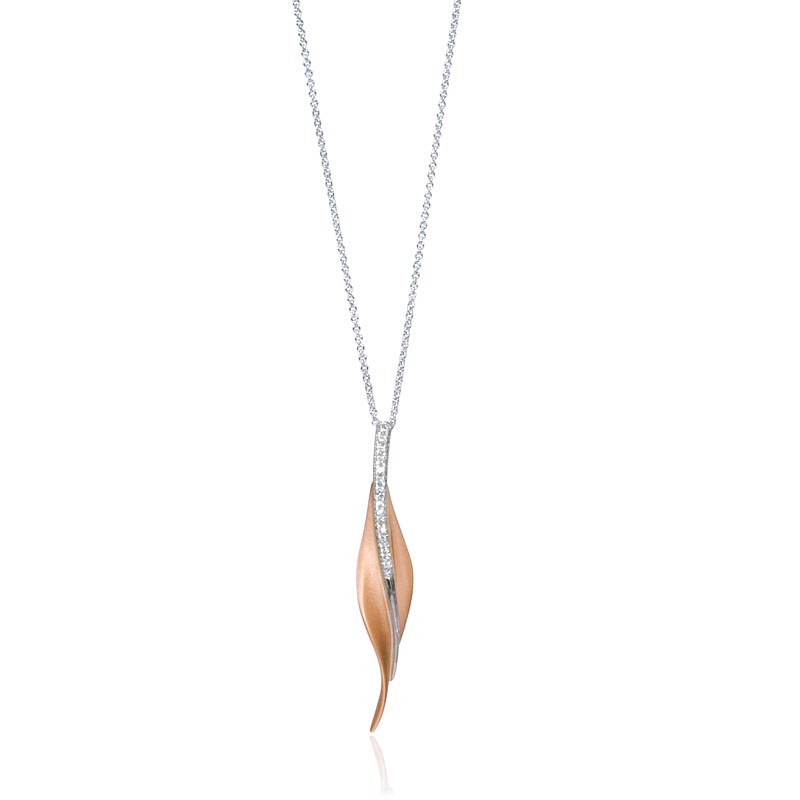 The chain measures 19 inches in length and the pendant measures 45mm x 9mm.